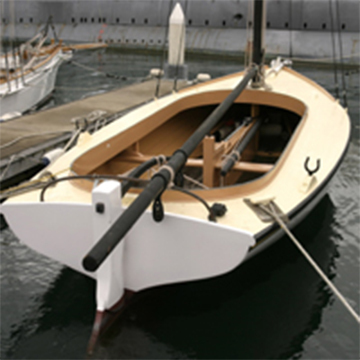 • This Couta boat named THISTLE is thought to have been built in 1903 by J R Jones. Couta boats were a type of fishing boat used in Victoria until the 1950s. In later years they were reinvented as recreational sailboats. • THISTLE is one of the surviving vessels from what had been a very large fleet of working craft. The Couta Boats were amongst the last fishing boats in Australia to still work their grounds under sail. This type is unique to Australia. It is a locally developed design suitable for the rough waters off the Victorian south-west coast and in Bass Strait. The name Couta is an abbreviation of Barracouta, a common catch from this vessel in these waters, usually caught by pole fishing schools of fish. The design was developed to hold large numbers of fish, and yet still sail well. It was critical for fishers to get their catch back to the markets quickly. They were usually crewed by only two men, and the Queenscliff fleet had to pass through the Rip at Port Phillip Heads, a very dangerous stretch of water. • The sailing rig only gradually gave way to the motor. The strong traditions held by The Couta Boat sailors meant they were relatively slow to adopt new innovations. Although known to have been built early in the 1900s, its history of ownership is not fully documented, but in its final years as a private vessel, Bob Johansson lived aboard THISTLE on the Moyne River in Port Fairy. Sadly Bob passed away in October of 2007, a well know character on the river, sought after for a yarn by the locals and tourists. 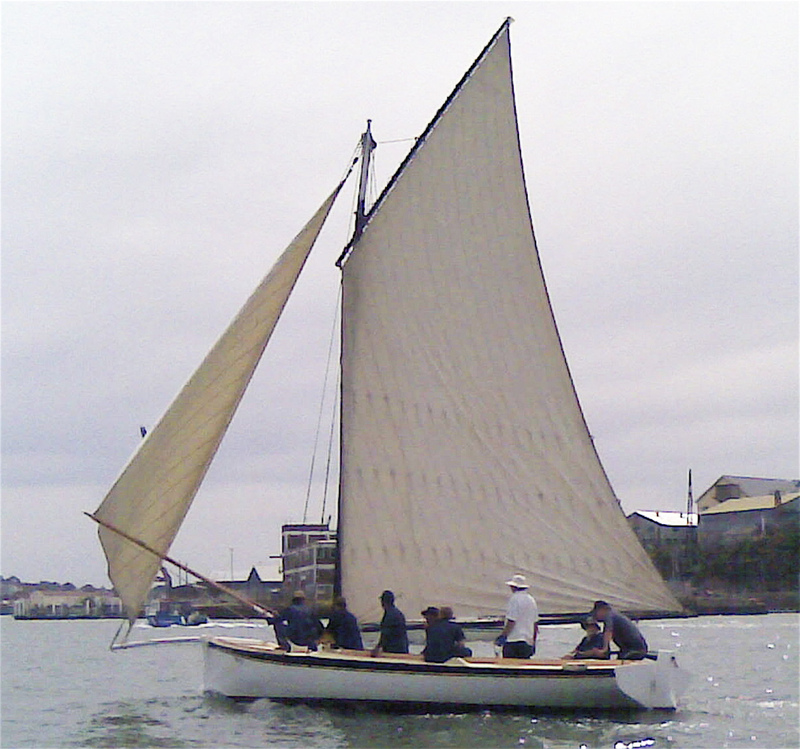 Carmen Bell wrote the following for The Couta Boat Association; ‘In 1970 he purchased an old couta boat named THISTLE. He built a cabin and moved into his new home – much to the annoyance of his mother Grace who was living in Port Fairy with her third husband Scotty. He lived in the Thistle until 1987. Bob’s early days in Port Fairy were spent tinkering with the THISTLE helping out at the Port Fairy Aquarium, taking himself out fishing and also going out on some of the other fishing boats. In his later years, his main occupation was talking to passers-by.’ THISTLE was purchased from Bob by the Australian National Maritime Museum in the late 1980s, and Bob sailed another boat back from Sydney to be his final home on the river. 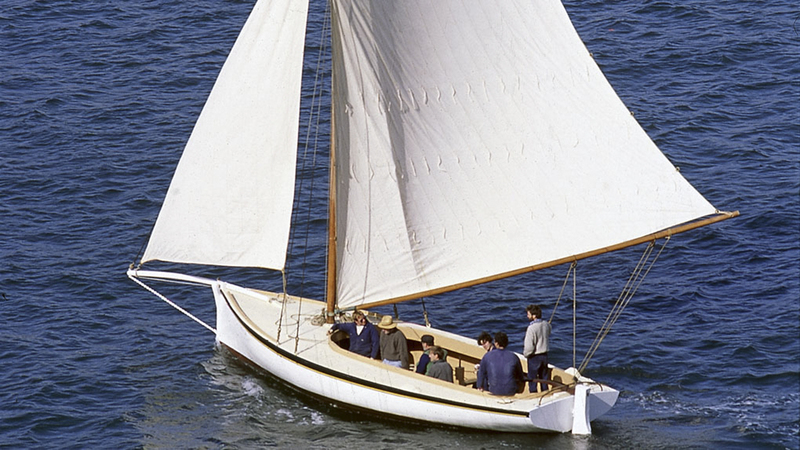 THISTLE has now been restored close to its original configuration by the acknowledged couta boat historian and enthusiast Tim Phillips from The Wooden Boat Shop at Sorrento Victoria. It features the lug rig that was originally used by The Couta Boats before the gaff rig was introduced. The carvel planked hull is complete with the typical centrecase, thwart and pump arrangement, sole boards, oars and rowlocks, as it would have been fitted out to fish for couta. 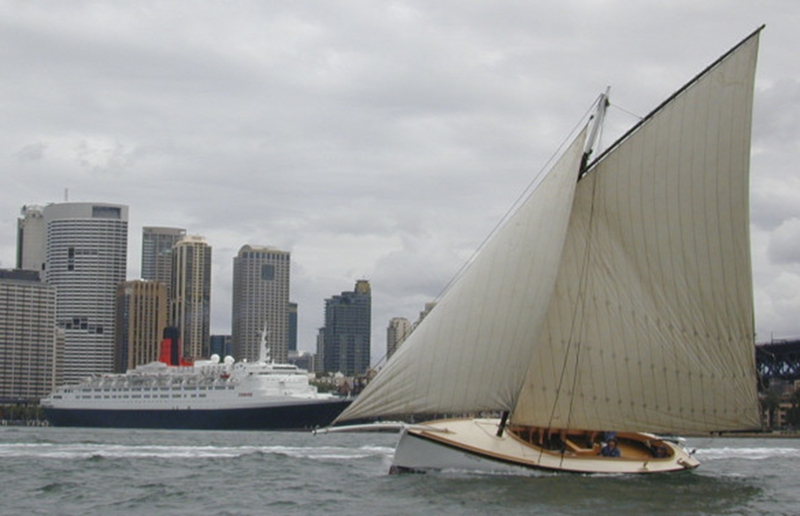 In 1988 THISTLE became part of the National Maritime Collection at the Australian National Maritime Museum, and is sailed regularly on Sydney Harbour. THISTLE has performed well in a number of the SASC Gaffers’ Day races held bi-annually on Sydney Harbour, and the annual Balmain Regatta on the Parramatta River. THISTLE has performed well in a number of the SASC Gaffers’ Day races held bi-annually on Sydney Harbour, and the annual Balmain Regatta on the Parramatta River.